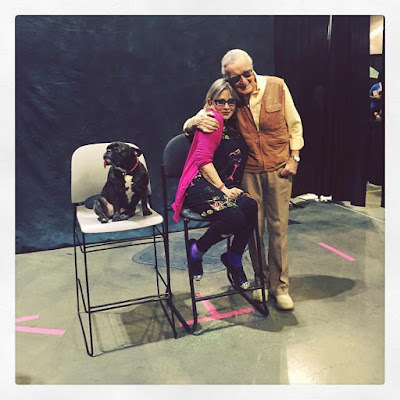 If Sunday's crowded aisles full of geeky humanity was any indication, Stan Lee's Comikaze Expo 2015 was a rousing success. It's the busiest last day of the 3-day pop culture event that I can remember over its five-year run. The Los Angeles Convention Center was a buzzing hive of activity with fans, a lot of them in costume, streaming through West Hall. The young con continues to grow and adjust as it draws bigger and bigger crowds. Within the confines of the futuristic architecture of the convention's lobby, you're welcomed with an onslaught of cosplayers posing for pictures in every direction. Punisher, Reverse Flash, Slave Leia, Rogue, and multiple Deadpools line the walls to the delight of onlookers. The bustling, shuffling, of men, women and families lead to the main hall where a vast maze of booths and tables greet visitors with anxious exhibitors, sheepish artists, and a break-dancing Hip Hop Trooper mid-center. 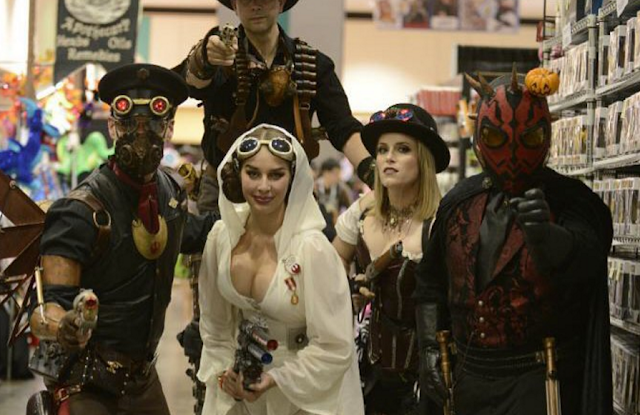 L.A.'s only comic con (until Wondercon arrives next year) is every pop culture fans' dream. This year, organizers made some changes to the layout of the Expo. Instead of situating everything in the cavernous South Hall, only a small portion was used for invited cosplayers, celebrity signing, gaming and the main stage. West Hall was the main venue with exhibitors, comic vendors, indie publishers, and artist's alley. The separation of the main stage and artist's alley was a major improvement. 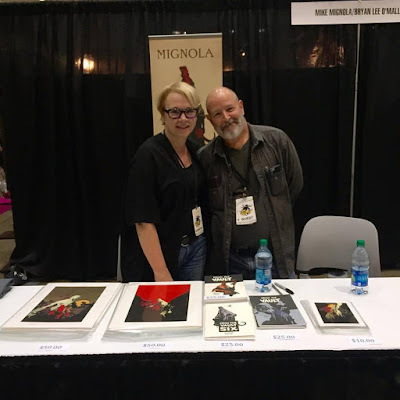 In year's past, the attention paid to the interviews or contests on the stage drove attendees past artist's alley which increased foot traffic but also created clutter in the aisles and annoyed exhibitors. It appeared artist's alley was thriving this year with a constant flow of fans but if you wanted to get to the stage you'd have to trek over to another hall altogether to see guests like Liam McIntyre (Spartacus) or Manu Bennett (Arrow). Comikaze made a concerted effort to draw bigger guests and of course who's bigger than the show's namesake, Stan Lee. 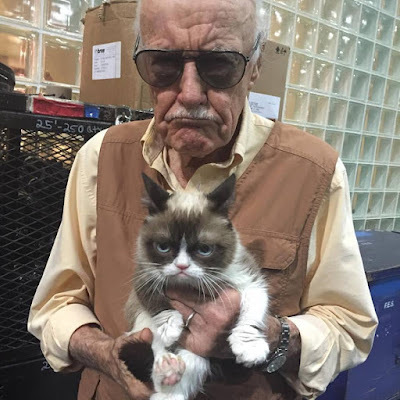 Lee made his annual appearance to adoring crowds, and the comic book legend also introduced a new mobile game, Stan Lee's Hero Command. Invited guests this year included stars from all over pop culture. Comic book heavyweights like Jim Lee and Rob Liefeld drew long lines at their signings. TV was represented well by the aforementioned McIntyre and Bennett but also Danielle Panabaker (The Flash), Summer Glau (Arrow), William Shatner (Star Trek), and an All That cast reunion. Despite being under the weather, Carrie Fisher was a trooper and kept her appearance to a wild ovation from fans in attendance and signed every last autograph request. 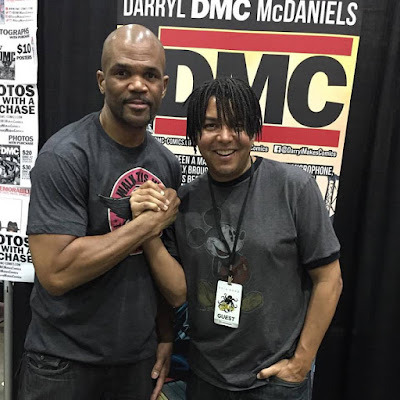 Run DMC's Darryl McDaniels performed at the Comikaze Halloween party at Nokia Theater on Saturday and spent the weekend promoting his graphic novel, 'DMC.' And it wouldn't be Comikaze without the Mistress of the Dark, Elvira (and convention partner) on hand. 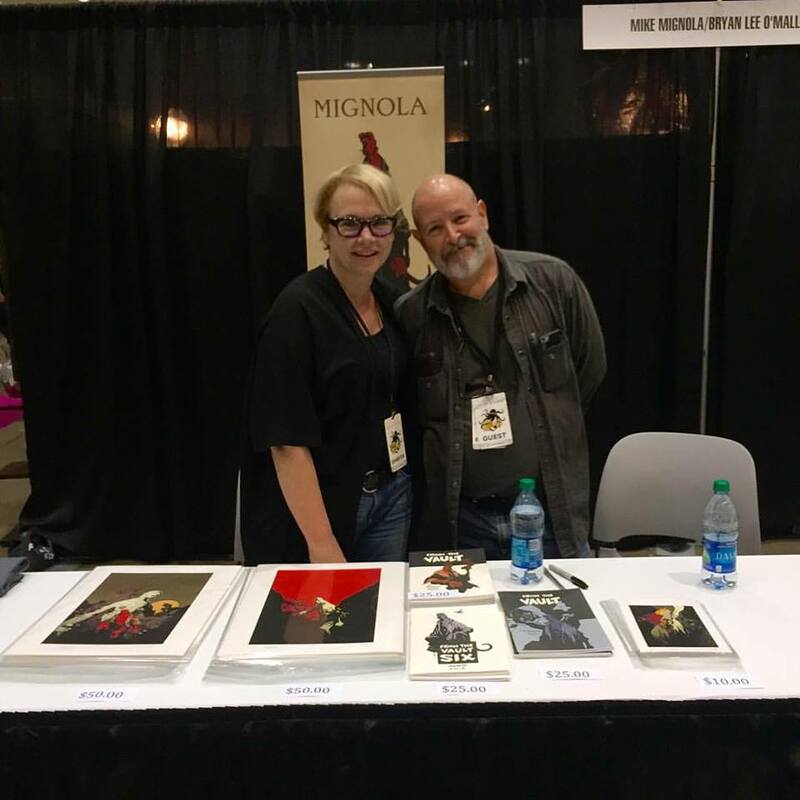 Over the years, Comikaze organizers have adapted and learned what works and what doesn't so they're not afraid to make changes in an effort to make the convention even better. By the looks of the diverse crowds, the flow of the floorplan and the uptick in cosplayers, Comikaze is likely to surpass last year's attendance by a wide margin, perhaps even reaching 80,000. Comikaze keeps growing and improving which makes 2016 even brighter for L.A.'s premiere pop culture event.